She said she didn’t want to stay home and bake cookies. And she didn’t. A radical feminist with a background in Marxist dogma and Communist connections, Senator Hillary Rodham Clinton is today wielding national power she thought she might may be on her way back to the White House. She tried for President - didn't make it because of an upstart - but she tried. This is so despite the fact that her name is associated with many Clinton scandals, including Whitewater, Filegate, Travelgate, E-mailgate, and the mysterious death of White House aide Vincent Foster. Independent Counsel Robert Ray refused to indict her for perjury, even though he found that she had lied about her role in the firing of White House travel office employees. Add to that the scandal involving acceptance of an $8-million advance for her memoirs of her White House years and the publication of her book, Living History. Hillary Diane Rodham Clinton , born October 26, 1947 is the 67thUnited States Secretary of State, serving in the administration of President Barack Obama. She was a United States Senator for New York from 2001 to 2009. As the wife of the 42ndPresident of the United States, Bill Clinton, she was the First Lady of the United States from 1993 to 2001. In the 2008 election, Clinton was a leading candidate for the Democratic presidential nomination. A native of Illinois, Hillary Rodham was raised in a Republican, Methodist home in Chicago. She attended Wellesley College and returning to Wellesley for her final year, Rodham wrote her senior thesis about the tactics of radical community organizer Saul Alinsky under Professor Schechter (years later while she was First Lady, access to the thesis was restricted at the request of the White House and it became the subject of some speculation. First attracted national attention in 1969 for her remarks as the first student commencement speaker at Wellesley College. She embarked on a career in law after graduating from Yale Law School in 1973. Following a stint as a Congressional legal counsel, she moved to Arkansas in 1974 and married Bill Clinton in 1975. Rodham cofounded the Arkansas Advocates for Children and Families in 1977 and became the first female chair of the Legal Services Corporation in 1978. Named the first female partner at Rose Law Firm in 1979, she was twice listed as one of the 100 most influential lawyers in America. First Lady of Arkansas from 1979 to 1981 and 1983 to 1992 with husband Bill as Governor, she successfully led a task force to reform Arkansas's education system. She sat on the board of directors of Wal-Mart and several other corporations. Mrs. Clinton is also associated with the fiasco dubbed “Hillarycare,” the Clinton Administration Socialized medicine scheme that failed to pass Congress. But Mrs. Clinton, who has been greatly underestimated by her critics, has learned her lesson. The plan went down because she did not have big business on her side. In moving forward with her international Socialist agenda, and the transformation of the United Nations and its agencies into a global state, she has enlisted critical support from the U.S. business and religious communities. Although she spoke of a “vast right-wing conspiracy” against her husband’s administration, she has orchestrated a movement of her own that reaches well beyond national borders and into the inner sanctums of the U.N. This special report examines her largely behind-the-scenes work with the United Nations, Secretary-General Kofi Annan, his wife, and U.N.-associated non-governmental organizations. 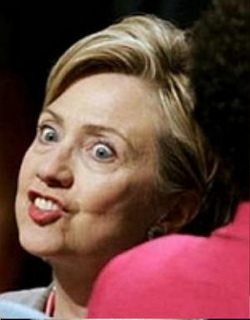 In the Senate, Mrs. Clinton was expected to push several radical U.N. treaties and move America toward what her friend, former CBS Evening News anchorman Walter Cronkite, has openly declared to be “world government.” Clinton and Cronkite have both endorsed the World Federalist Association, a U.S. taxpayer-funded organization which says that American sovereignty will be “gradually eroded until it is no longer an issue.” Its sister organization, the Campaign for U.N. Reform, has increased its clout on Capitol Hill. At this point, it is not so clear that Senate Foreign Relations Committee chairman Senator Jesse Helms can stand in the way. A media black-out has kept most Americans in the dark about the support that Mrs. Clinton and her husband gave to the World Federalist Association (WFA), a controversial organization which openly advocates world government. The WFA says that by adding more power, authority and functions to the United Nations, “national sovereignty would be gradually eroded until it is no longer an issue.” The group promotes “global citizenship” and such international agencies as the International Criminal Court (ICC), a “World Disarmament Authority” to control the weapons of the world, nuclear and even small arms; and an independent “peacekeeping” army for the U.N.
Mrs. Clinton is best known for her support of the radical U.N. agenda that affects families, women and children. One of Mrs. Clinton’s favorite U.N. agencies, the U.N. Development Fund for Women (UNIFEM), has a slogan, “Women Hold Up Half the Sky,” which was used during the age of Chinese Communist mass murderer Mao Tse Tung to highlight the role of women in the Communist revolution. Mrs. Clinton adopted the slogan as her own in a speech to the U.N.
Over the years, she has given several speeches at U.N. events, including an address at a 1995 “women’s conference” in Communist China, where human rights are severely curtailed and Christians are persecuted. Although a woman’s reproductive rights are controlled by the state in China, some feminists believe that Mao’s China is a model for the world. Mao himself said, “Genuine equality between the sexes can only be realized in the process of the socialist transformation of society as a whole.” U.N. Boss Kofi Annan’s wife, Nane, the “First Lady of the United Nations” and an ally of Hillary Clinton. From the start, the U.N. was viewed as an instrument of Communist policy. The U.N.’s first Secretary-General, who assumed the post in a temporary or acting capacity, was Soviet spy Alger Hiss, an official in President Franklin Roosevelt’s Administration. There is no reason to believe that the U.N. has ceased to be a massive base of espionage and intelligence operations against the U.S. Yet this is the organization that the WFA wants to transform into a global state with independent military, police and judicial powers. As First Lady of the United States, Mrs. Clinton seems to have emulated the notorious pro-Communist and pro-U.N. activist, Bella Abzug (Bella Abzug was an American lawyer, Congresswoman, social activist and at the the U.N., Abzug promoted women’s rights and environmental causes.) In one of several speeches over the years to U.N. agencies and events, Hillary hailed Abzug’s work and career. When Mrs. Clinton was urged not to attend the women’s conference in Communist China, because of human rights problems there, Abzug was among those saying she should go. Mrs. Clinton went. Abzug was a member of several Communist Party front groups. When Abzug ran for congress, the Socialist Party opposed her for having shown “a general unwillingness to be outspokenly critical of Communist actions threatening the peace and freedom of the world.” Abzug opposed allowing Vietnamese refugees to come to the U.S. after the Communist takeover, arguing that they “deserved the punishment that awaits them.” Such punishment for thousands was death. Abzug, a long-time feminist, also favored federal financing of 24-hour-a-day child care centers. At a U.N. public tribute, described as an “unprecedented use” of the U.N. General Assembly, personalities such as Jane Fonda, Shirley MacLaine, Phil Donahue, and Timothy Wirth, former senator and a former assistant secretary of state who became head of Ted Turner’s U.N. Foundation, paid homage to Abzug. U.N. Secretary-General Kofi Annan described Abzug as “a fixture at the United Nations during this past decade...” and said that “All of us here today” were influenced by Abzug’s organization. Her legacy “shall endure,” he said. Senator Mary Landrieu (D-La.) called Abzug “a unique and effective spokesperson for women,” and that she, Landrieu, had been “influenced” by her and was a friend. It is significant that Mrs. Clinton, in a speech to a U.N. conference on population issues, also spoke favorably of Margaret Sanger, the founder of Planned Parenthood, for her “family planning” work. Although Sanger has been portrayed as a fighter for women’s rights, she abandoned her family while her marriage was collapsing in order to push the birth control cause. Sanger was a Socialist and a racist, having made brazen pronouncements in favor of population control programs targeting blacks and other minorities as “human weeds.” A central focus of her work was getting the U.S. Government to endorse and promote her work. The clear intention of the birth control movement from the start was not to give individuals the right to make decisions, in the privacy of their own bedrooms, but rather to empower government to regulate and control human beings. The radical feminists do not support family planning but family control. The real purpose of so-called “reproductive rights” is to control the size of families. When the feminists talk about “educating” young women about their rights, the aim is to made sure that they choose contraception, abortion or sterilization, and avoid motherhood. Another popular U.N. phrase, “improving women’s status,” is another way of saying that women will be less likely to have children if they are forced into the career world.